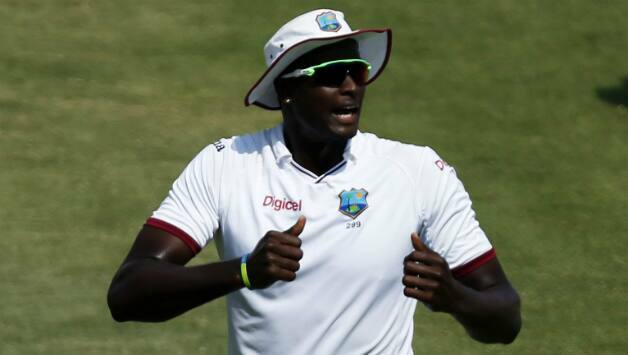 Jason Holder, the West Indies captain, has received an official reprimand and one demerit point for a Level 1 breach of the ICC Code of Conduct on day four of the Headingley Test. Holder was sanctioned for "using of language or a gesture that is obscene, offensive or insulting during an international match", an ICC release said. Three more demerit points within a 24-month period will mean a ban for one Test, two ODIs or two T20Is, whichever comes first. The incident occurred during the 70th over of England's second innings when Holder twice made "inappropriate comments in frustration" audible enough to both on-field umpires - Chris Gaffaney and S Ravi. It was the over when Dawid Malan was dropped off his bowling. Holder admitted to the offence and accepted the sanction proposed by match referee David Boon. On the second day, England allrounder Ben Stokes was also reprimanded for a similar offence, thereby receiving one demerit point to take his total up to three; if he gets to four demerit points, he faces a suspension.